SK&H Weekend RoundUp: Musicals, Museums and… Wunderkammers? Home > Blog > Community > SK&H Weekend RoundUp: Musicals, Museums and… Wunderkammers? We’ve gathered together an interesting assortment of activities to keep you busy this weekend. Want to see an inventive Broadway musical based on a children’s classic or find out how to become more inventive through the eyes of a child? There are opportunities to do both over the next few days as well as find out what strange treasures (a.k.a. wunderkammers) await you at the Curious Gallery. Keep it weird, Portland…and keep it warm! 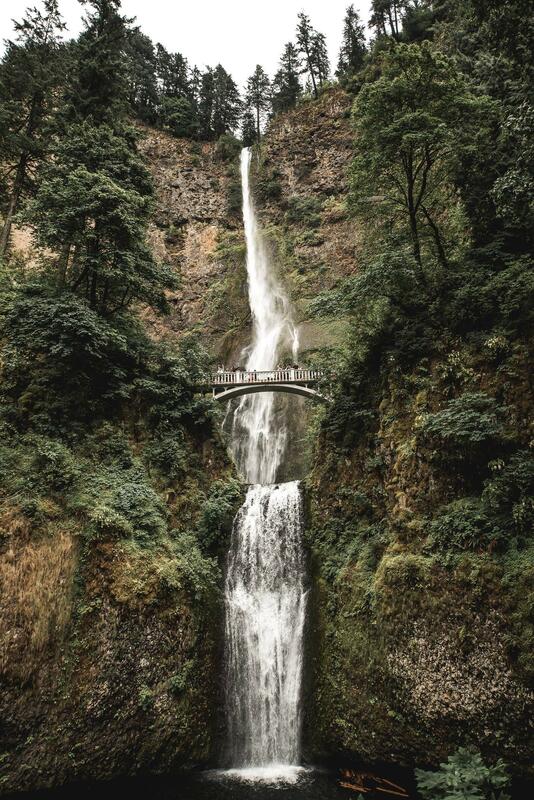 Come experience the grandeur of the Columbia River Gorge, one of the United States’ most photographed Natural Scenic Reserves. The tour will drive along the oldest scenic highway in the U.S., stopping at sweeping viewpoints, flowing falls, a historic lodge and the famed Bonneville Dam Sturgeon Viewing Center. This is a half day tour, typically offered from 9 a.m.-12:30 p.m. or 1-4:30 p.m. This month the Portland Children’s Museum is the place to be curious, creative, and inventive during Invention Month. Explore how things work and get inspiration from wonderful inventions by children. And the First Friday Night of each month everyone gets free admission! Curious Gallery at the Crowne Plaza features exhibits, presentations, hands-on workshops, and special programming for lovers of taxidermy, natural wonders, and strange treasures (wunderkammer). Now in its fourth year, Curious Gallery is as curious as it gets. The No Pants Subway Ride—Portland mimics the giggles-inducing New York version held the same day, but it takes place on the Max with a very cool after party. Started by a improvisational comedy troupe, it’s supposed to be silly. So try your best to keep a straight face on when you do it, okay? Finding Neverland, now playing at the Keller Auditorium, is one of Broadway’s biggest new hit and the winner of Broadway.com’s Audience Choice Award for Best Musical. Starring a stellar cast of Broadway vets and young gents the musical tells the wonderful story behind one of the world’s most beloved characters: Peter Pan. The magic of Barrie’s classic tale springs spectacularly to life in this heartwarming theatrical event. For adults and kids alike.